Are you seeking for an effective monitoring tool to keep tabs on an iPhone possessed by someone else? You are on the right place. This article provides complete guide on picking up the most reliable and efficient iPhone monitoring app for non-jailbreak devices. We have reviewed the top cell phone spy apps to come up with the most brilliant spy tool. Most of the iPhone monitoring apps rightly accessible in the online app market demands the user to jailbreak the targeted phone to get it installed with the spyware app. 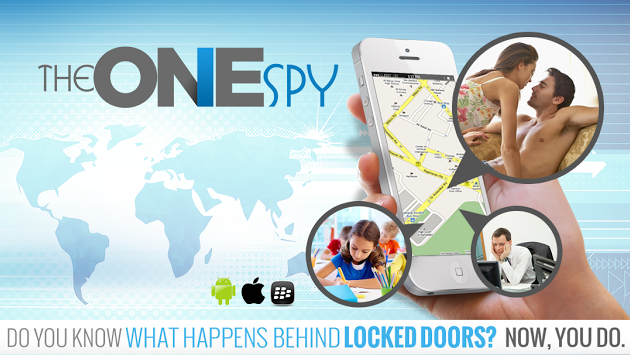 TheOneSpy is the one that provides non-jailbreak monitoring solution to employers and parents. It is a cross-platform spy app that is compatible with mobile phones and computers running different operating systems including iOS among others. Read on to know how this powerful spy app lets you monitor an iPhone in the most convenient way. The cell phone monitoring apps are generally developed for child monitoring and employee monitoring. The end-user of the spy app can install it on the targeted smartphone to secretly track the activities performed on that phone. For example, it allows monitoring messages received and sent via target phone. The phone calls of the monitored device can be traced and internet history can be accessed without taking the target phone into custody. However, there are a few points to be noted. The iPhone monitoring app can only be installed on a jailbreak device. So, if the target iPhone is not jailbroken, you need to jailbreak it to get it installed with the third party spyware app. The non-jailbreak iPhone monitoring solution of TheOneSpy is intended for those who do not want to take the risk of iOS jailbreak. Though, the modified version of the surveillance software offers limited features, it includes all traditional spying features which include message and call monitoring. There is no need to install the spy app on the target iPhone. You only need to know the iCloud credentials of the target phone. As you insert the iCloud credentials of the target iPhone into the online control panel of the surveillance app, you can start tracking the iOS device without jailbreak. The surveillance app for non-jailbreak iPhone devices offers both traditional and advanced spying features. We have penned down the core features of the spy app to let you understand how it works. Whether you are an employer or a parent, you are required to supervise the messages of your workers and family. The spy app lets you read all incoming and outgoing text messages, iMessages and multimedia messages of your target without taking the monitored iPhone into possession. The spy app gets access to the online backup of the target phone to sync backed up messages. The end-user of the spy app can log into the online spy control panel to view these messages and contacts of message senders and receivers. The spying is not just limited to messages. You can monitor the phone calls of your object with the help of non-jailbreak iPhone monitoring app. The spyware software provides you with phone call logs to monitor the detail of all incoming and outgoing calls. The detail also includes the name and phone number of the callers and recipients. The importance of WhatsApp messenger in businesses and day-to-day life cannot be denied. It has replaced the default messaging applications and is used by millions of people across the world for exchange of text messages and audio and video calls. The iPhone surveillance app lets you monitor WhatsApp messenger of your workers and children. You can read messages, view media files and listen to voice messages transmitted or received by the object via monitored iPhone. In addition to WhatsApp messenger, the end-user of the surveillance app can spy on the most dangerous instant messenger Kik. The inward and outward Kik messages and thread conversations of the object can be tracked remotely and secretly. Whatever your target does using the internet on the monitored iPhone can be tracked with the help of non-jailbreak iPhone surveillance app. The end-user of the mobile spy app can get access to the internet browsing history of the target phone to see which websites were visited and what kind of information was queried by the object. The surveillance software lets you monitor Phonebook of the target iPhone. You can read the contact list containing name, mobile phone number, email address and other relevant information of each contact. When compared with other spy app rightly available in the spy market, TheOneSpy can be considered as the most suitable option for iPhone monitoring solution. It offers both jailbreak and non-jailbreak monitoring solutions in a reasonable price.